Эта колода - специально для тех, кто хочет создать свою колоду Таро или Оракул! Рубашка - нейтральная, голубая. Make your own tarot, playing cards, or original game deck with a set of 80 round-cornered, blank cards with tarotee plaid backs. 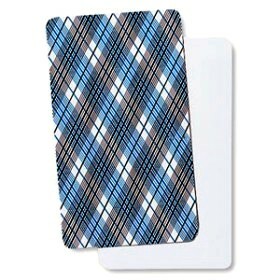 Also perfect for creating flash cards, educational cards, recipe cards, and many other projects.